Before the renaissance of the Victorian plaids and tartans that swept through Scotland and England following the repeal of the proscriptions on highland dress by King George III in 1785. Before the uprising of 1745 and the Battle of Culloden the following year. 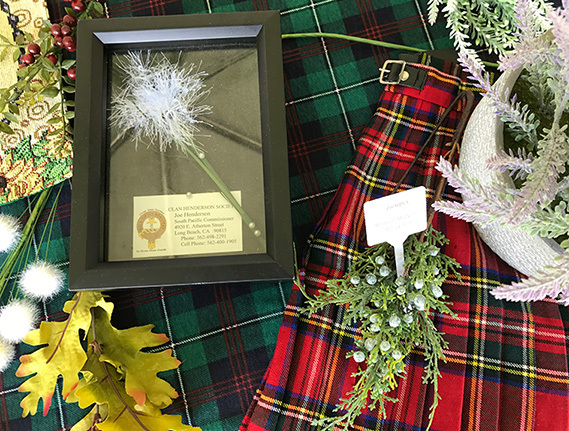 For some 400 years the great Clans and families of Scotland identified themselves and their allegiance to their Chief by putting the Suaicheantas, or Badge, which was a sprig of plant, in their bonnet or cloak pin. Some of these are illustrated by R. R. McIan and described in detail by James Logan in the two-volume set, The Clans of the Scottish Highlands. Some clans used bushes or trees. Others used herbs, subartic moss or grass. Most plant choices were native to the clan lands but a few were not indigenes to Scotland, possibly arriving with the Romans or brought back by returning Crusaders. The Sons of Sumerled identified with Heather, Heath or Ling. The McDonalds and others with the beautiful purple heather that covered the hillsides and the McDougals with the bell heather. Clans from the north of Scotland in the subartic zones often are represented by moss and cranberry. In the great pine and deciduous forests grew the Scots Pine, the Yew, the Rowan and the Ash. 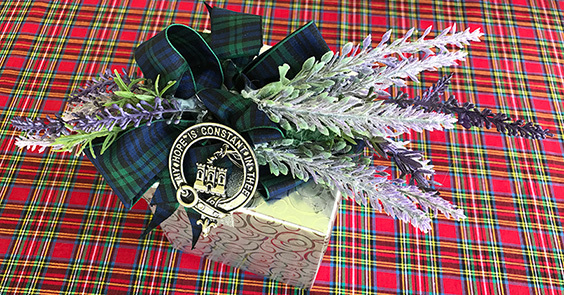 Much like man cultures use animal totems, flags, standards, colors or body painting to identify who they are, the plant badge was used in Scotland to identify the clan one belonged to. This is the most basic of culture, the most basic of personal identification. This is who I am and these are my people.